You can’t make e-paper planes. I’m going to be honest. Originally I had started writing this blog purely to discuss the benefits of using software in a business environment. I’m going to be honest. Originally I had started writing this blog purely to discuss the benefits of using software in a business environment. I’m a business development manager in a software development company, so why wouldn’t I be plugging these benefits and trying to convince you to contact us to design your dream system to replace your paper-based system? Then, I opened up my trusty Dr Martens organiser to check what I had planned for the day. This got me thinking. 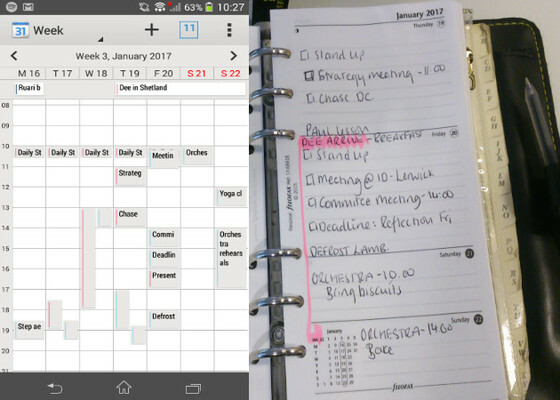 Why haven’t I moved solely to an electronic diary? I have all the gadgets: phone, calendar (which automatically syncs to my phone) and my laptop. I also have a notebook which I scribble all my minutes and product ideas in, which I take everywhere with me. After meetings, I am often found typing up my notes so that they can be shared on our network for my colleagues to read. So why am I so determined to keep my paper diary, which is basically a copy of my electronic one that shouts at me 30 minutes before an appointment or a week before a birthday? 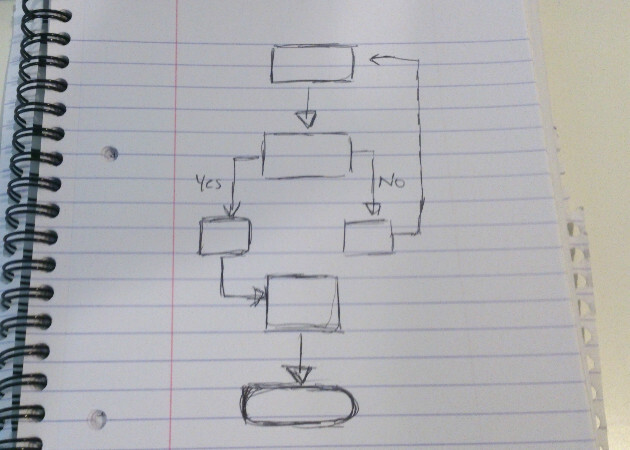 Or willingly double my workload by typing up my notes after every meeting or take photos of my sketches to upload? Quite simply, I like writing things down. My shopping lists are often found scribbled on the back of envelopes and my To Do list is written on the whiteboard. I still prefer writing and receiving letters, which I lovingly store so I can refer back to them, and my life is stored in my personal organiser. When I worked at Frisby’s School of English, all my lesson plans were handwritten and stored in a folder, which I hauled around in my rucksack ignoring the backache. Even now when I’m planning a training course, my notes are all handwritten on my printed PowerPoint presentation slides. The benefits of stepping away from my paper based habits would be numerous: less clutter; having everything at the touch of a button; and customised reminders are the first to spring to mind. Not forgetting automatic backups in case my device fails, and not having that sense of dread when I can’t find my organiser or my scribbled to do list. We are starting to see new technologies emerge such as Bamboo Spark, ReMarkable and the RocketBook. Each of these technologies allows the user to write information down but offer the benefits of software such as cloud storage, easy sharing of notes and back ups. At Mesomorphic, we are eager to integrate this type of technology into our work environment as they will allow easier sharing of product ideas, written notes in meetings and sketched work flows without having bits of paper laying around the office or having to rewrite notes on a word processor. There is no doubt that this type of technology will increase my efficiency at work and I look forward to being able to use it, yet I still feel that my organiser offers me something personal. Something that I have created and it works perfectly for me. How about you? Are you weighing up the pros and cons of moving to a more electronic process? What’s stopping you from taking the leap? I would love to hear your thoughts. Feel free to comment below, send me an email, or even write me a letter!